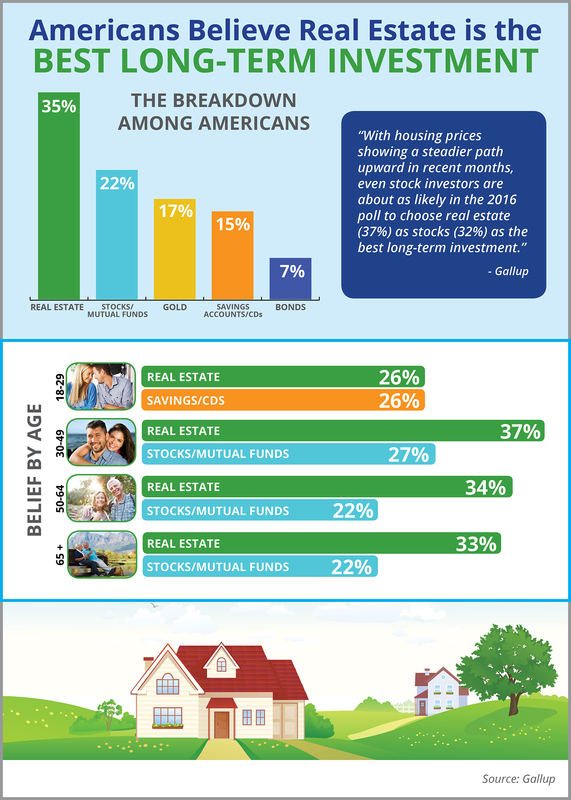 Real estate outranks stocks/mutual funds, gold, savings accounts/CDs, and bonds as the best long-term investment among Americans. Real estate is ranked as the best long-term investment among all age groups. Millennials rank both real estate and savings/CDs at 26% when it comes to the best long-term investment.